In the past GREENevada has hosted the Student Sustainability Summit twice, once in April 2011 and again in April 2012. All northern Nevada high schools were invited to participate. Students performed live presentations in front of a panel of distinguished judges, as well as friends, family, and members of the community. 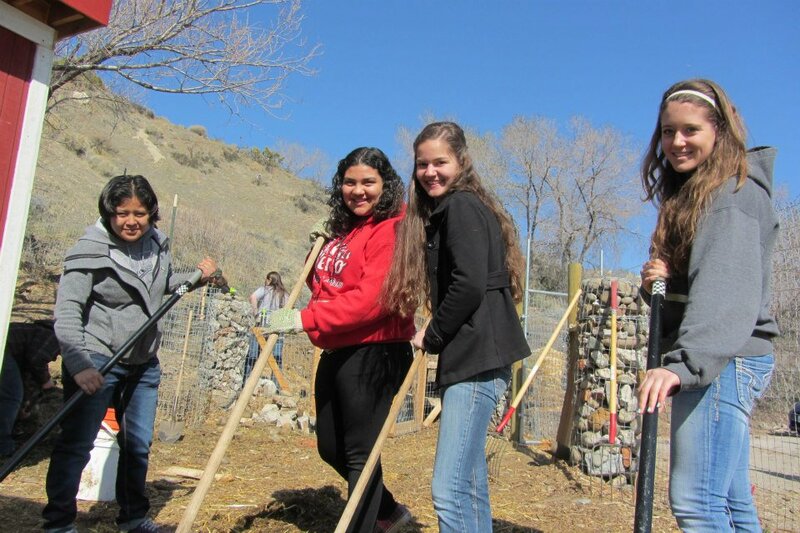 GREENevada – Growing Resources for Environmental Education in Nevada. GREENevada is a coalition of eight non-profit organizations: Alliance for Climate Education, Black Rock Solar, Envirolution, GreenPower, Keep Truckee Meadows Beautiful, Sierra Nevada Journeys, Urban Roots Garden Classroom, Reno Bike Project. Schools are encouraged to seek help from any or all of our organizations to help bring sustainability into their classrooms. We believe that every school can be green and every child can learn global responsibility through local example. Together, we can transform the way students learn. This year for 2013 we did things a little different than in the past. Instead of a competition where schools are working against each other for prize money to fund a sustainable project in their school. we decided to host a youth retreat for students passionate about the sustainability of our community where youth can network, build leadership skills, and learn how to work as a team. We called it the GREENevada Student Leadership Retreat — a 2-day green leadership extravaganza. It happened Friday and Saturday, March 22-23, 2013. On Friday morning, 40 GREENevada students arrived at the Urban Roots Garden Classrooms for a Service learning project involving farm work. 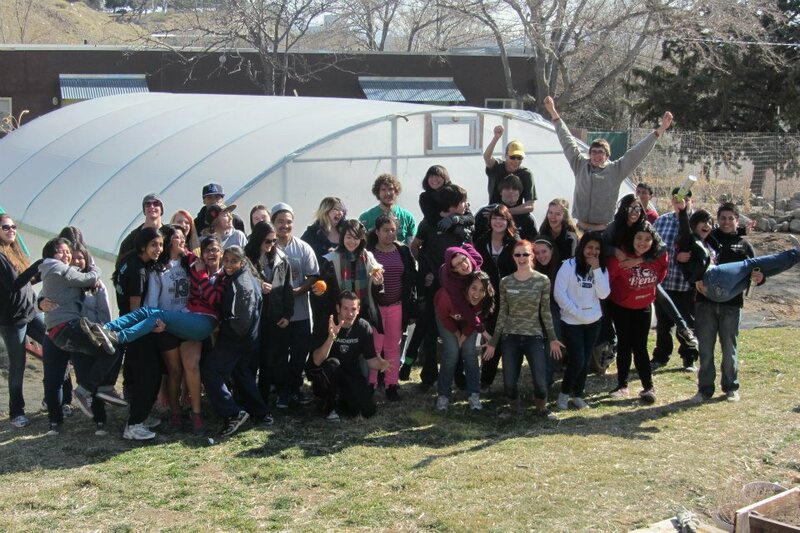 Students were broken up into 5 different groups around the urban farm for volunteer work. Then In the afternoon, all students traveled on a bus up to Sierra Nevada Journey‘s Grizzly Creek Ranch campus for an overnight! 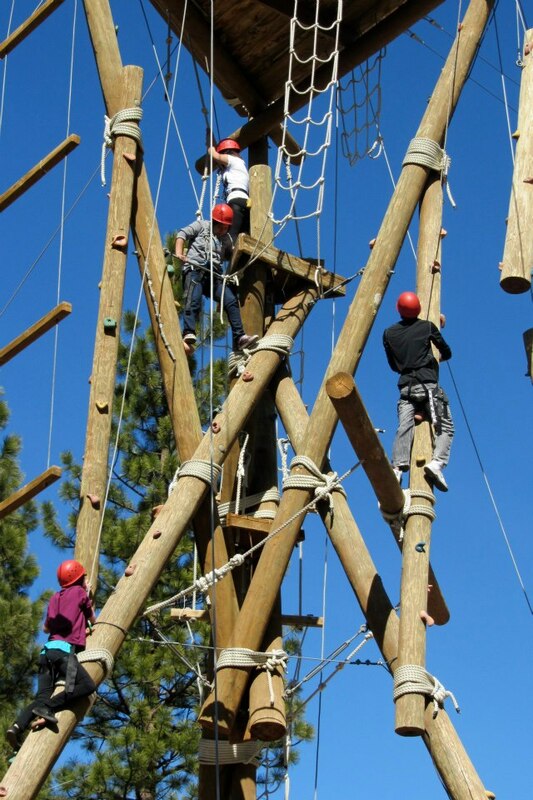 Saturday’s focus was learning about energy, leadership skills and a challenge high-ropes course on the campus. At the GREENevada Retreat area youth were transformed into youth leaders, inspired and motivated to work together as a district. Two GREENevada youth from each school were elected as ambassadors. These youth leaders decided that the GREENevada youth will meet on Google Hangout once a month. Overall, this was a great experience for us all! Our goals as a coalition were met. The development of leaderships skills, team building, networking between students was inspiring. We are excited to see the changes that the youth leaders will bring to Reno. This entry was posted in Local Programs, Summer of Solutions and tagged Alliance for Climate Education, Black Rock Solar, GREENevada, GreenPower, Keep Truckee Meadows Beautiful, leadership skills, Reno, Reno Bike Project, Sierra Nevada Journeys, Student Sustainability Summit, team building, Urban Roots Garden Classroom by s0luti0naries. Bookmark the permalink.